What should you do during a Dental Emergency? Dental emergency? It could be really daunting. Read our guide to handle dental emergencies and save your tooth from further trauma. Dental emergencies can occur at any time. Most of us are never prepared for such events. What should one do in such a situation? Where should one go? A dental emergency is an injury to the teeth or mouth which requires immediate attention. The following usually demand immediate check-ups by your dentist. Mississauga residents can visit the Woodland Dental Centre for reliable dental care. The first thing to remember in any emergency situation is to remain calm. The damage has already been done and the only thing left is recovery. Taking calculated measures to avoid further harm can help you save your teeth and be more productive. Assessing the situation can help you understand what needs to be done. Emergency care is required for such situations. You need to contact an emergency dentist. Mississauga residents can contact the Woodland Dental Centre for quick and trustworthy dental care. Call (905) 270-5666 for immediate emergency dental care by dentist, Mississauga. Yes, dental emergencies are unforeseen but they can still be prepared for. A few simple preventive measures in place could ensure that you and your teeth are safe from any harm at all times. Choosing a dentist, Mississauga citizens, who provide emergency dental care could save you from the hassle of searching and trying various numbers in vain while your the damage escalates. This one step could save you from having to lose your teeth completely and endure limitless pain. Keeping basic first aid materials and seeking help are the primary preventive measures for any dental emergency. Having a plan in place not only keeps your teeth secure but also gives the affected a sense of purpose and keeps them level headed thereby ensuring that they are able to give themselves the right care. Prevent yourself from dental loss with emergency dental care by dentist Mississauga woodland dental centre. home when they experience a dental emergency. The dental emergency guide from Woodland Dental Centre helps you to handle dental emergency in Mississauga. Some dental emergencies are considered to treat immediately within 30 minutes to prevent tooth loss . 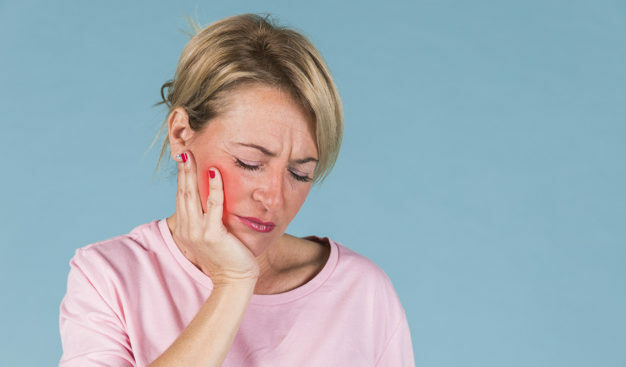 If the problem causing your tooth pain is pulp tissue damage, your emergency dentist may send you to an endodontist who specializes in pulp-related problems. Your endodontist will perform a root canal that cleans out the damaged pulp, fills and seals the remaining space. Dental Centre in Mississauga immediately if you experience any of the above problems. If you can’t able to reach your dentist, look for hospital emergency room care for First Aid. If you experience a non-imperative dental emergency, it is still recommend to visit dental office with in a day, which will make lesser impact on treatments. Many of the Dental emergency can be avoid by visiting your dentist regularly. You do not need any prior appointment or a reference, at Woodland Dental, just a walk-in would do. dental emergency guide for help. Why should you visit your dentist in Mississauga for a regular check-up? Worried about getting braces? Get Invisalign Braces!